focus is on assisting our clients with everyday living, thereby allowing them to remain independent for as long as they would like. 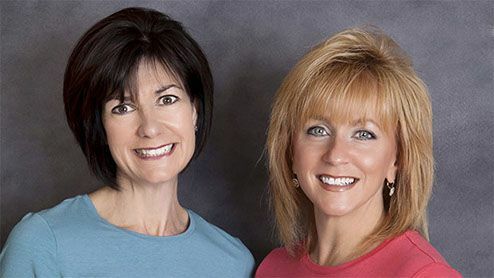 Kathleen Rutishauser and Denise Flihan, the co-owners of Daughter for Hire LLC, built their business to provide a solution for the seniors in the Mohawk Valley and the Captial Region of New York State, who valued the idea of aging in place. Central to this focus, Kathleen and Denise identified a set of needs that the senior population almost universally had, that were critical to the seniors' ability to remain independent. Daughter for Hire begins with that end in mind. 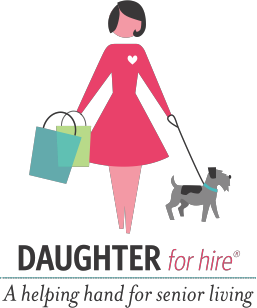 Daughter for Hire LLC is a company made up of caring people. Kathleen and Denise focus on helping seniors by hiring and retaining a skilled and compassionate work force that provides services to their clients, at a affordable rate, with an unconditional guarantee, to exceed our service quality standards. Our calling card is the warmth, dependability and effectiveness of our employees. Each client relationship is unique, as is every individual. Our core criteria for hiring our caregivers is honesty, integrity, patience, caring nature, compassion and a pleasing personality. Our focus has been to build a team that represents the kind of people that you'd like to have in your own home. Our specially trained caregivers have experience in working with clients who have dementia and Alzheimer's disease. We understand the impact on the individual and those close to him or her, and work closely with those involved to provide respite and assistance. For the security and the peace of mind of our clients, all caregivers are bonded and insured. We carefully screen our employees through the interviewing process, reference checks and a national criminal background check. Client satisfaction is paramount in our world. Our employees are actively managed and follow Daughter for Hire policies and procedures. Regular communication with you helps us to best understand your needs and to surpass your expectations. Proudly serving Oneida, Herkimer, Madison, Albany, Saratoga, Schenectady, and Rensselaer Counties.